MMC's on-site medical team will assess and treat injured workers, maintain injury logs and paperwork and provide extensive follow up care and therapy. MMC’s on-site medical services team will also schedule appointments with the off-site Medical Groups if the need arises. Mobile Medical Corporation's onsite medical services helps clients to maintain control over Occupational Safety and Health Administration (OSHA) recordable incidents as well as increase a teams productivity as our services help return workers to their jobs quicker. MMC is a premier Third Party Administrator (TPA) of nationwide substance abuse testing programs. Pittsburgh Drug Testing firm MMC can conduct all of your pre-employment and post-accident drug testing on the job site, which means no unnecessary off-site travel for your employees! Bundled packages includes drug and alcohol testing and free online verifications and program training! Save valuable time and money today! Click Here to Request an Information Packet Today! SAMHSA recently posted the results of a marijuana survey that reported that the number of people aged 50 and older reporting marijuana use in the prior year went up from 1.9 percent to 2.9 percent from 2002 to 2008. Marijuana which is used for medicinal purposes in 14 states is still illegal for recreational use. Marijuana (THC) is also still part of the testing panel when it comes to pre-employment and on-the-job drug testing. Medical professionals such as Dr. William Dale at the University of Chicago Medical Center see the dangers that marijuana smoking can have as he believes that "Older users could be at risk for falls if they become dizzy, smoking it increases the risk of heart disease and it can cause cognitive impairment." On the other hand 67 year old Perry Parks, 67, of Rockingham, N.C., a retired Army pilot who suffers from degenerative disc disease and arthritis uses marijuana to alleviate pain. Mr. Parks said. "He had tried all sorts of drugs, from Vioxx to epidural steroids, but found little success. About two years ago he turned to marijuana, which he first had tried in college, and was amazed how well it worked for the pain." As the marijuana argument continues, baby boomers who are not quite ready to retire and are hoping for a new career or even part time work need to understand that smoking marijuana could jeopardize their chances of being hired as more and more responsible companies are enhancing their drug testing protocols in an effort to reduce negligent hiring and overall liability. The Boston Herald recently reported that Oklahoma Drug Enforcement Officers were tipped off by Oklahoma educators about the possibility of a synthetic type of marijuana that is circulating among students. The new form of the drug may be able to avoid detection in substance abuse testing. This new type of marijuana is called "K2" and is comprised of a mixture of herbs and chemicals. The drug comes in the form of incense and can be smoked. Currently "K2" is sold legally. Educators began noticing odd behavior from students about a month ago, said Tina Barker, Director of the Oklahoma Outreach Sober School Program. The US Department of Health and Human Services (DHHS) recently issued revisions to the Mandatory Guidelines for Federal Workplace Drug Testing Programs. The revisions will take effect on May 1, 2010. The Department of Transportation will be covered under these changes as required by the Omnibus Transportation Employees Testing Act. Lowering of the cut-off levels for cocaine and amphetamine testing. The new screening level for cocaine is set at 150ng/mL screening and the confirmation is set at 100 ng/mL. The new screening levels for amphetamines are set at 500ng/mL screening and the confirmation for methamphetamine and amphetamines are set at 250ng/mL. Ecstasy (MDMA) will now be tested for and the screening cut-off for MDMA is now set at 500 ng/mL, with confirmation for MDMA, MDA, and MDEA at 250 ng/mL. All Federal agency collections are to be split specimen collections which is a urine specimen procedure that is similar to DOT regulations. The final rules of the Wellstone and Pete Domenici Mental Health Parity and Addiction Equity Act will go into effect on April 5, and will be applicable to insurance plan years that begin on or after July 1. The parity law does not require health plans to cover addiction or mental illness, or any specific types of treatment, but mandates that plans which do include such benefits treat these conditions on par with other illnesses. According to the law, group health insurance plans may not limit benefits or impose higher patient costs for addiction and mental health treatment than those applying to general medical or surgical benefits. U.S. Department of Health and Human Services (HHS) Secretary Kathleen Sebelius said, "The rules we are issuing today will, for the first time, help assure that those diagnosed with these debilitating and sometimes life-threatening disorders will not suffer needless or arbitrary limits on their care." Pittsburgh Drug Testing for Firefighters has hit another impasse as the city of Pittsburgh and the Firefighters Union can not find middle ground. Funding for the drug testing and further legal issues are delaying the implementation of a Pittsburgh Drug Testing program. Pittsburgh Mayor Luke Ravenstahl has exclaimed, "Enough is enough in the fire department... These individuals have it seems like almost weekly been involved in drug activity and alcohol activity... The union has dragged their feet, to be quite honest with you, in coming to this agreement." Joe King, President of the Firefighters Union, International Association of Firefighters Local 1 recently was quoted in the Pittsburgh Post Gazette, "Now they tell me, well, we don't have the money to do the testing of everybody right now." Public Safety Director Michael Huss said, "testing all 630-some firefighters could take more than a month, but the city is prepared to do it, and then to implement random tests." Both sides agreed to drug testing in October 2009 and still no agreement is in place. Pittsburgh based Mobile Medical Corporation (MMC) provides on-site medical facilities during construction projects allowing customers to maximize health and safety at the job site, while at the same time substantially reducing compensation costs. MMC's medical professionals assess, treat and manage injuries occurring on the job. Our people play an integral part in our client's Health and Safety Risk Management Teams. Our team also performs drug and alcohol testing as well as occupational health testing including PFT's, FIT testing and blood lead testing. 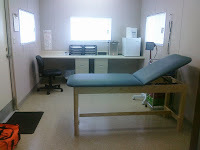 Mobile Medical Corporation's on-site medical facilities helps clients to maintain control over Occupational Safety and Health Administration (OSHA) recordable incidents as well as increase a teams productivity as our services help return workers to their jobs quicker. With the Spring time approaching quickly contact us to see how Mobile Medical Corporation can substantially increase the safety standards and value of your upcoming construction projects! 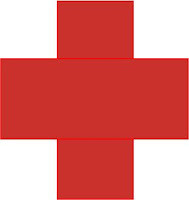 Contact us today and mention this blog to receive MMC's on-site first aid and medical facility information package!